Quartz countertops certainly aren’t new, but they’ve been taking the interior design world by storm recently. As a sought-after home upgrade for 2019, it’s clear that quartz offers more than aesthetic quality—it’s a common choice among homeowners looking for functional superiority, too. Here’s a closer look at what’s making this material the preferred option for countertops. Made from natural quartz and other materials such as small amounts of glass or metals, quartz countertops achieve a stunning visual impact with variety and allure. The material comes in a dazzling array of shade options, suiting kitchens of all styles and color schemes. While natural hues such as browns, blacks, and white are the most popular options, unique shades such as blues and golds are also available. Homeowners can really let their personalities shine with such a versatile design choice. Quartz is non-porous, so its texture resists mold development and bacterial growth. This quality also makes it highly stain-resistant. For this reason, quartz countertops don’t need to be periodically resealed; simply wiping them down with gentle soap and water and cleaning up spills as they happen is enough to keep the material looking like new. Because it’s fabricated from natural stone and other materials then pressed together with resin, quartz maintains a sturdy, scratch-resistant exterior. It can thrive through years of wear and tear—in fact, the material’s high level of durability makes it a popular choice for flooring. Simply protect it from hot dishes by using a trivet, as extreme heat can impact the resin. If you’re in the market for new countertops for your home, turn to Mainland Stoneworks. Serving the Piedmont Triad in North Carolina, this team of dedicated experts will walk you through every step of your countertop transformation, from the selection process through the installation. 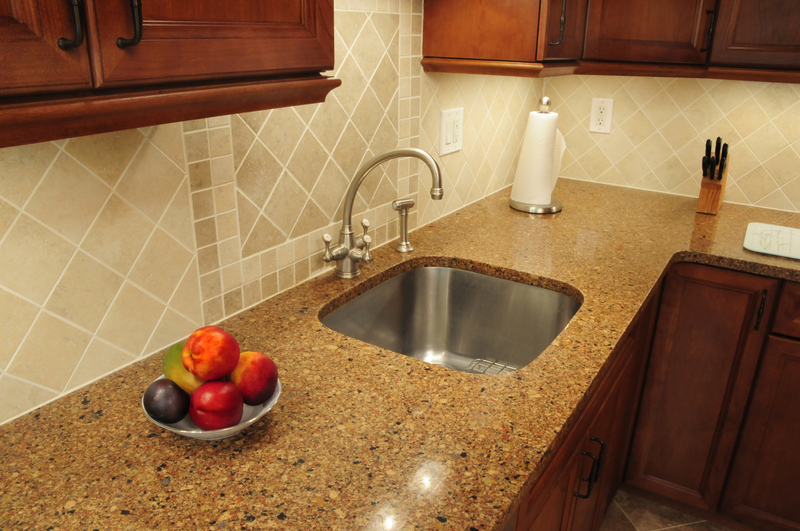 Quartz countertops are their specialty, but they also offer granite, marble, and onyx, among other materials. Browse through their full list of residential services online or call (336) 773-0714 to discuss your project.